Hey guys!....im making a costume for comicon this year....first time...and I was wondering..is there any place I can find EVA foam in bulk? Thanks! 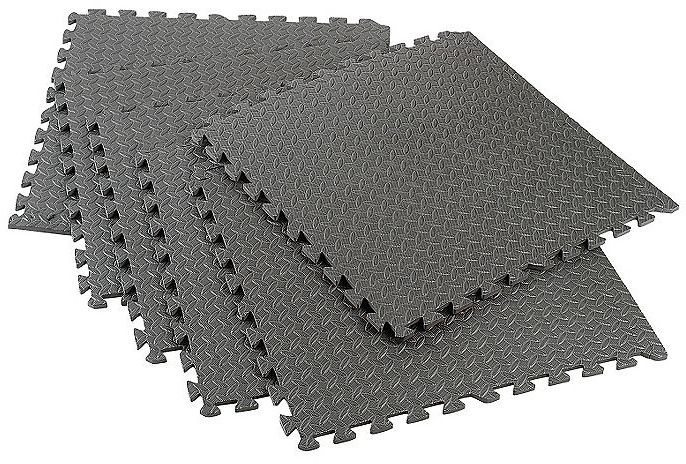 Big box stores like Home Depot are known for having EVA foam anti-stress floor mats in large quantities, and often have sales on it. You can also find these mats at most hardware stores. The challenge there is one side of the EVA floor mat often has a textured pattern on it that either needs to be sanded off, or flipped over so the smooth side is your "beauty" surface. Many cosplayers hunt around to try and find mats with as little texture as possible on the top surface, but often the "diamond" pattern is all you can find. Harbor Freight is another place to grab it, they have the anti fatigue floor mats and the thinner rolls. http://www.harborfreight.com/4-piece-anti-fatigue-foam-mat-set-94635.html When its on sale I've gotten the 4 sheet packages for under 7 bucks. Awesome! Thanks guys! ill post pics when I'm done!